Will they cancel the contract or won’t they? In order to understand Ottawa’s decision making process regarding General Dynamics’ massive arms deal with Saudi Arabia one must look closely at industry lobbyists. While the Trudeau government is under substantial public pressure to rescind the $15 billion Light Armoured Vehicle sale, to do so would challenge the company and the broader corporate lobby. Last week a senior analyst with the GD-financed Canadian Global Affairs Institute boldly defended the LAV sale.“There has been no behaviour by the Saudis to warrant cancelling this contract”, said David Perry to the London Free Press. Perry must have missed the Kingdom’s violence in Yemen, repression in eastern Saudi Arabia and consulate murder in Istanbul. Probably Canada’s most prominent foreign policy think tank, Canadian Global Affairs Institute is a recipient of GD’s “generous” donations. Both GD Land Systems and GD Mission Systems are listed among its “supporters” in recent annual reports, but the exact sum they’ve given the institute isn’t public. The Conference of Defence Associations Institute also openly supports GD’s LAV sale. 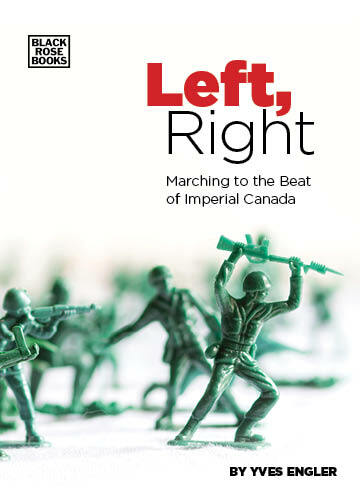 Representatives of the Ottawa-based lobby/think tank have written commentaries justifying the LAV sale and a2016 analysis concluded that “our own Canadian national interests, economic and strategic, dictate that maintaining profitable political and trade relations with ‘friendly’ countries like Saudi Arabia, including arms sales, is the most rational option in a world of unpleasant choices.” Of course, the Conference of Defence Associations Institute also received GD money and its advisory board includes GD Canada’s senior director of strategy and government relations Kelly Williams. The armament industry’s primary lobby group also backed GD’s sale to the Saudis. In 2014 Canadian Association of Defence and Security Industries president Tim Page celebrated the LAV sale as a “good day for Canada” and two years later its new president, Christyn Cianfarani, defended the deal from criticism, telling the press “we certainly don’t take positions on the judicial practices of other nations.” GD is a member of CADSI and GD Land Systems Vice President, Danny Deep, chairs its board. With an office near Parliament, CADSI lobbyists have likely spoken to government officials about reversing the Saudi LAV sale. For its part, GD has been lobbying decision makers aggressively. According to an October 24 iPolitics article “General Dynamics Land Systems-Canada has filed almost a dozen communications requests with government officials in the last week.” Like other military companies, the London, Ontario, armoured vehicle maker maintains an Ottawa office to access government officials. GD has contracted former military officials to lobby on its behalf and offered retired Canadian Forces leaders senior positions. Before becoming Defence Minister, Gordon O’Connor, a former Brigadier-General, represented GD as a lobbyist while GD Canada hired former Navy commodore Kelly Williams as senior director of strategy and government relations in 2012. GD also advertises at events and in areas of the nation’s capital frequented by government officials. Similarly, it promotes its brand in publications read by Ottawa insiders. If the government does not cancel the Saudi LAV sale it will be further proof of the corporate lobby’s political influence.